Ransomware is now one of the biggest threats facing consumers and businesses alike, according to a new report from Symantec. The Ransomware and Businesses 2016 report noted that not only is ransomware becoming more prevalent, but cybercriminals are demanding far more in the way of payment to unlock infected PCs. Symantec said that 2015 was a record year in terms of the discovery of new strains of this type of malware, with over 100 new families of ransomware coming to light. 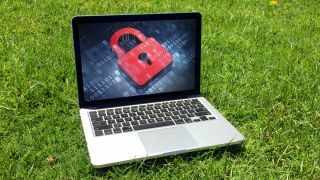 Crypto-ransomware – which uses full encryption on all the user's files, as opposed to just locking the device – is also on the rise, and is now dominating this arena, as we've seen in recent months. Infection numbers varied between 23,000 and 35,000 per month last year, but recently spiked in March 2016 to hit 56,000 thanks to the arrival of Trojan.Cryptolocker.AF. And the average ransom demand made has more than doubled in the last six months. It stood at an average of $294 (around £225, AU$395) at the end of last year, but it's now $679 (around £530, AU$930). Symantec also observed that the majority of victims are consumers – 57% of incidents affect them – but the number of businesses hit is rising, and there's a trend to target companies rather than individuals. That's not too surprising, seeing as cybercriminals will likely be able to extort more money from a business, obviously enough. And in terms of geography, the US is by far and away the most affected country, with 31% of ransomware infections. Japan and Italy are next, both on 8% of infections, with the Netherlands in fourth place on 5%, and then Germany and the UK in joint fifth place on 4%. Should you ever pay up to ransomware criminals?